Over 900,000 people are injured each year in power tool accidents (1). With so many people relying on power tools, injuries are bound to occur. Power tools are meant to cut and puncture through steel, wood, fiberglass, and other dense materials, so even a minor mistake can end in catastrophe. 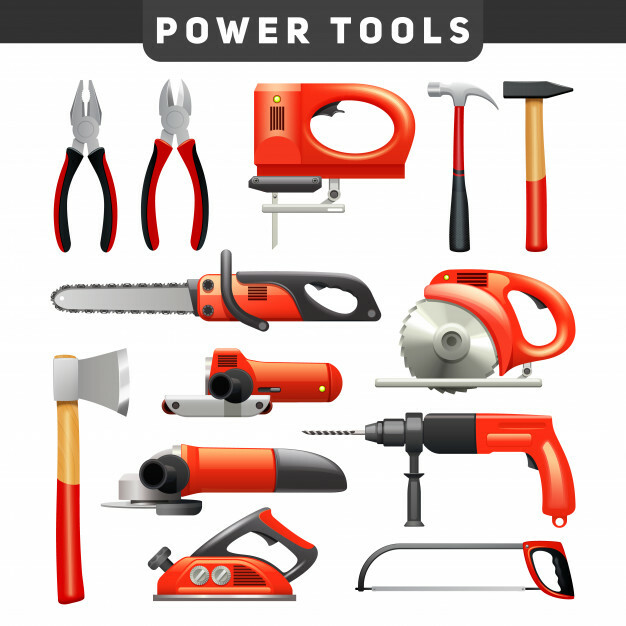 Common power tool injuries include amputations, slips and falls over power cords, electrocutions, lacerated ligaments and tendons, eye injuries, and puncture wounds. If you’ve been injured by a power tool while working, your best recourse will be to file a workers’ compensation claim. Even if your injury was caused by an employer’s or coworker’s negligence, you’ll probably be limited to workers’ comp benefits. In cases of amputations or other permanent injuries, you may also be entitled to a lump sum settlement. Workers’ comp benefits normally include the payment of your medical bills, out-of-pocket expenses, and a portion of your lost wages (about two-thirds of your pre-injury income). Unfortunately, they don’t include compensation for your pain and suffering. If you were injured on-the-job, and your injury was caused by a sub-contractor or other third party not working directly for your employer, you may have another option. You may be able to file a third-party negligence claim in addition to your workers’ compensation claim. In a third-party claim, you can seek compensation over and above your normal workers’ comp benefits. A settlement from a third-party claim will include the full amount of your lost wages and an additional amount for your pain and suffering. Keep in mind, however, that most workers’ compensation laws require an injured worker who successfully sues a third party to reimburse workers’ company monies they paid on the worker’s behalf. In other words, you can’t double dip. Fortunately, because workers’ compensation only pays for medical bills, out-of-pocket expenses, and a portion of lost wages, as an injured worker you’re entitled to retain the difference in the amount between your partial lost wages and total lost wages, and the entire amount of your pain and suffering award. Bill was a carpenter working for the Glatco Construction Company. Glatco was hired by the city to cut and install all the sheetrock in a residential housing project. The city also hired Atley Electrical Company to do all the wiring. Chuck worked for Atley as an electrician and was given the job of running electrical lines through the first set of units. One afternoon, Bill and Chuck were working in the same unit. Chuck was installing the electrical lines, while Bill was using a power saw to cut sheetrock over two wooden horses. Tired, Bill momentarily closed his eyes while cutting a piece of sheetrock and lost his grip on the power saw. It bounced several feet, landing on Chuck’s right arm while still turning. Chuck’s arm was so severely lacerated that it had to be amputated. Chuck filed a workers’ compensation claim and was awarded full benefits, plus a lump sum representing his permanent disability. He then filed a third-party negligence suit against Glatco Construction. The lawsuit claimed Bill was negligent in allowing the saw to get away from him, and Glatco was negligent by forcing Bill to work many hours with little time for rest. Chuck’s attorneys eventually settled his case against Glatco. Chuck received compensation for his medical bills, out-of-pocket expenses, total lost wages, and an additional amount for his pain and suffering. Before distributing the settlement funds, Chuck’s attorneys paid the workers’ compensation lien on his settlement, which, by law, they had to honor. They reimbursed Chuck’s workers’ comp insurance company for the medical bills, out-of-pocket expenses, and lost wages they paid on his behalf. After the attorneys took their fee, Chuck was given the remainder. When a power tool has a design flaw or manufacturing defect, proper use may not be enough to stop a serious injury from occurring. While quality control in major manufacturing plants is a high priority, there are times when a defective product comes off the assembly line. If you were injured while using a power tool, and you believe a design flaw or manufacturing defect caused your injuries, you may have the basis of a product liability claim. You can file the claim against the manufacturer, designer, and retail store where you purchased the tool. Power tool designers, manufacturers, and sellers have a legal duty to do everything reasonably possible to ensure their tools don’t cause injury to users. If you can prove your injuries were directly caused by a product defect, you likely have a strong product liability case. The manufacturer and retailer had a duty to do everything reasonably possible to make and sell a safe power tool. When we say “direct cause, to the exclusion of other causes,” it refers to the possibility your injuries may not have been entirely caused by a product defect or third-party negligence. Instead, your own negligence may have been partly to blame. If a power tool user’s own negligence is partially responsible for his injuries, the courts look at the percentage of negligence for each party and assess damages accordingly. For instance, if they find that you were 40 percent to blame for your injuries, they will only give you 60 percent of the full amount of the award.